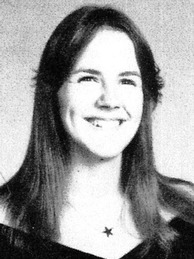 Ruth Ann Hunter, 53, of Stafford County passed away Thursday, Jan. 22, 2015, in Rhoadesville. Mrs. Hunter had worked as a clerk for the U. S. Postal Service. Survivors include her husband, Todd L. Hunter; her daughter, Sarah Hunter; and numerous cousins in North Carolina and New York. The family will receive friends from 6 to 8 p.m. Monday, Jan. 26, at Covenant Funeral Service, Stafford. A service will be held at 11 a.m. Tuesday, Jan. 27, at Ramoth Baptist Church, 478 Ramoth Church Road, Stafford. Burial will follow in Ramoth Baptist Church Cemetery. My GOD wrap his loving arms around your family to comfort and ease their sorrow. &LT; SIGN IN HERE &GT; to add a tribute to Ruth.